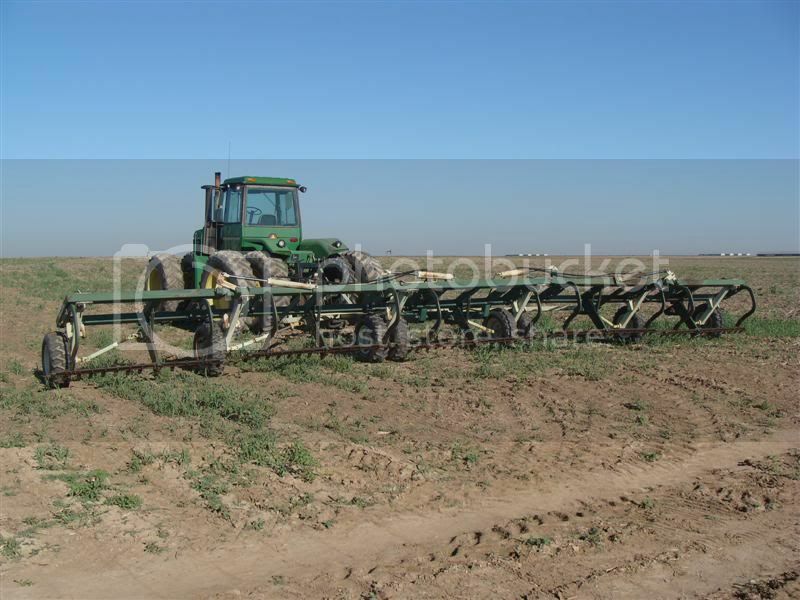 I was working some summerfallow today with the rod weeder, and since I know several people who haven't seen one before I thought I'd share some pics. I know 98j had posted some a while back that are way cooler than mine, but I have no idea where they're at. 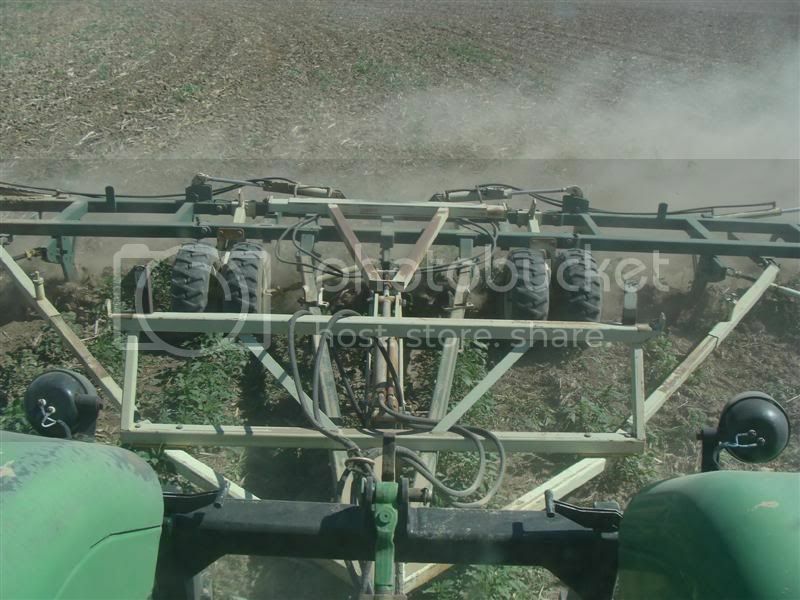 We don't use the rod weeder very often anymore, mainly because it doesn't handle large amounts of residue very well. They were popular in the days before chemfallow when a field was worked several times during the summer. On our farm, anyway, it was used as more of a finishing tool to kill small weeds before planting. The sweeps still do most of the work. The field I'm working was in sorghum last year, then pastured during the winter. The stubble was shredded this spring, and sprayed twice. During the summer I swept it twice, which loosened the ground up after the cattle tromped over it. The johnsongrass keeps coming back (it propagates through rhizomes and seeds), and there is another flush of pigweed and sandburr. 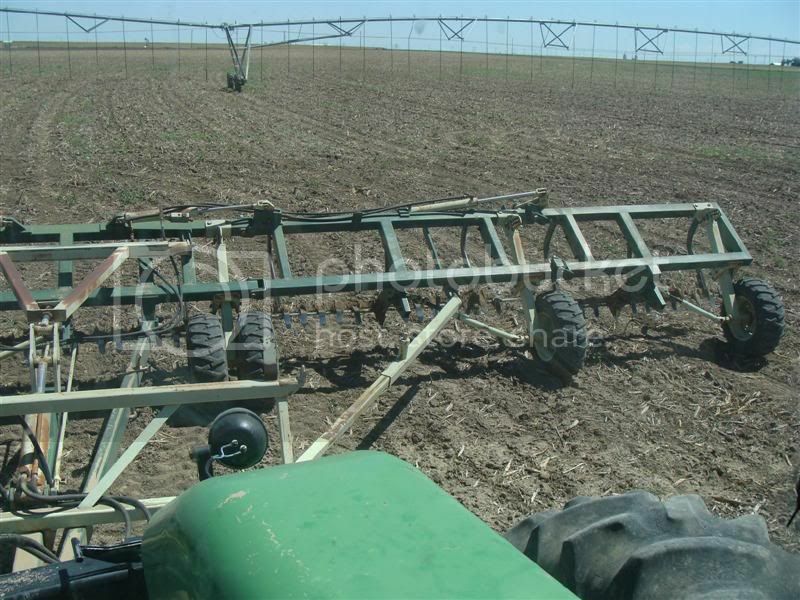 The rod weeder is just the ticket to clean it up. Hopefully it'll stay clean until we plant. This is a Flex King RD-40. I don't know its exact age, but I'm sure it's at least as old as I am. It folds up into a neat package. All 40' feet unfolded. This is the biggest implement we have, and it'll cover some ground in a hurry. Flex King also made 48' and 60' models. Got the teeth shined up. The driveshafts on the wheels connect to a sprocket inside the drive boot, which runs a chain that goes down to turn the square rod. The rod turns opposite the direction of travel. The rod is only running three or four inches deep, which is why it doesn't handle lots of residue. The teeth and rod tend to push loose trash instead of letting it flow over. Going through a patch of pigweed. As much as I like no-till, it's hard to beat the instant gratification of watching weeds dry up behind steel. X80 and kevlar like this. That is very neat Kevin! Looks like it would be pretty neat to run. 1. How fast do you pull it? 2. Does it pull hard at all? Looks Good Kevin, they were a great tool. looks good, ive never seen this done before since i live in the midwest. so the bar with what looks like 3 inch spikes on it goes under the ground and cut the roots of the weeds? 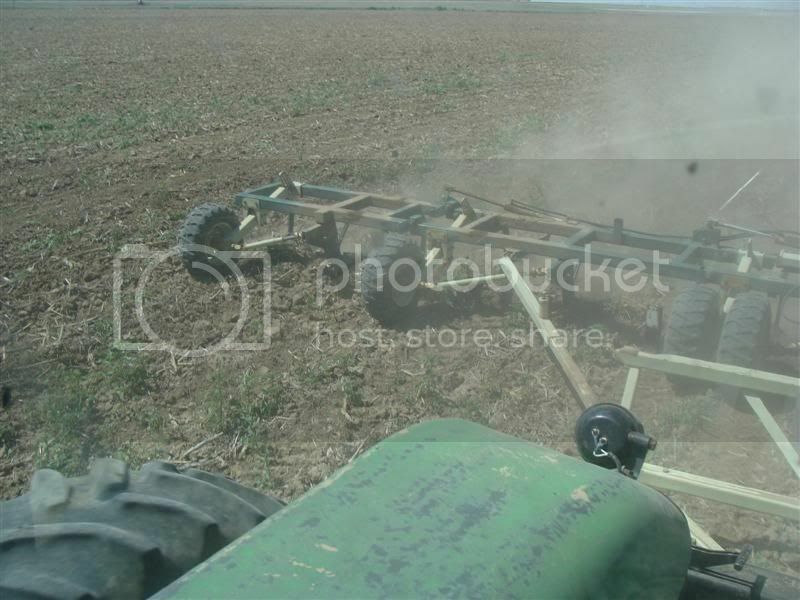 Anyone else remember rodweeders as a PITA? Back in our summerfallow days these were common, low draft, wide widths and...high maintenance. Rodweeders were how George Morris started Morris Rodweeder in Yorkton Saskatchewan. I thought they were just dinosaurs now but obviously not. V876 and southalta66 like this. Thanks for the comments, guys. I'm running about 5mph. I could go a little faster, but the ground is kind of hard in places and I don't want to risk breaking a rod or something. For the most part it pulls pretty easy. The teeth don't necessarily cut the roots, they just lift up the entire plant and the action of the rod rolls it over out of the ground. In my nearly 28 years this is only the second time I've used the rod weeder, Don. I'm sure your greater experience has given you a different opinion about the tool. This sat out back two or three years, and all I did on Friday was air up the tires, grease the U-joints, replace two spool holder-things, and put on one tooth that had come off at some point. 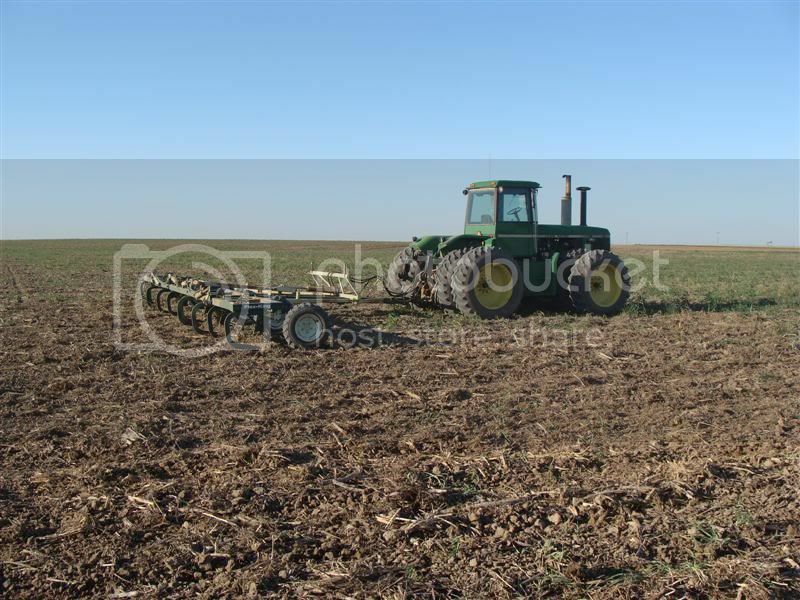 If we were going to put a lot more acres on it I'd really want to replace all the teeth, rods, and spools, and take a look at the chains. * We've got a cubbyhole stocked with a few spare parts, but I have no idea where to get more if we ever need them. *By "I'd really want to" I mean "I don't want to at all, but it needs to be done." These days there are better tools out there, but this is paid for and cheaper to run than the sweeps so I'm happy with it for now. Yeah, it doesn't do hard soil. In much of our conditions the field has to be loosened up with the sweeps or disc before the rodweeder will even go into the ground. What would be most problematic would be having everything in the ground and working nicely, then hitting a localized hard spot (such as vehicle tracks next to a new pipeline). The sudden shock could break things. I'll get you a couple pics tomorrow evening. Or Tuesday morning. Whatever. Nice pictures. Lots and lots of rods from this country and over to the west extending from Oregon all through the drier part of Washington state. Chem fallow has caught on in some of the more intermediate rainfall areas but not the driest ww-sf areas. I was interested in the pictures you mentioned from 98j and found them in a search. The rodweeder pictures are mostly on the second page. We usually make over 2,000 acres of fallow and rod 3 times most years. On fallow ground we can get wheat yields of over 100 bushels to the acre many years and recrop will only do 40 to 60. 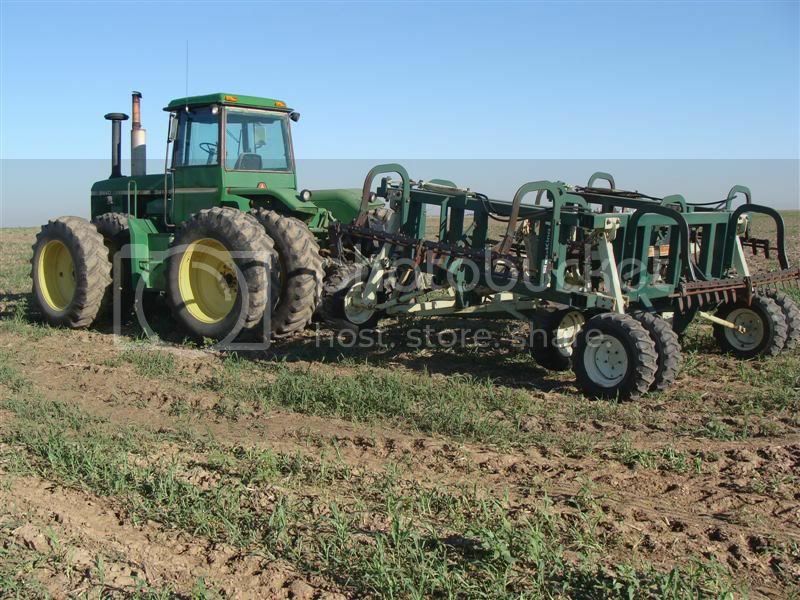 Two different sets of rods here just straight rods w/harrow behind. Cultaweeders with shanks in front and rods behind are common especially for earlier in the year.